We are pleased to announce that we will be having an all day intensive study seminar. 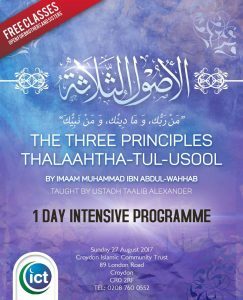 The Ustadh will be explaining The Three Fundamental Principles (Thalaatha-Tul-Usool) on Sunday 27th August 2017 from Dhuhr up until late inshaAllah. We encourage everyone to attend since understanding The Three Fundamental Principles with evidences from the Qur’an & Sunnah are intrinsic to a Muslims beliefs. 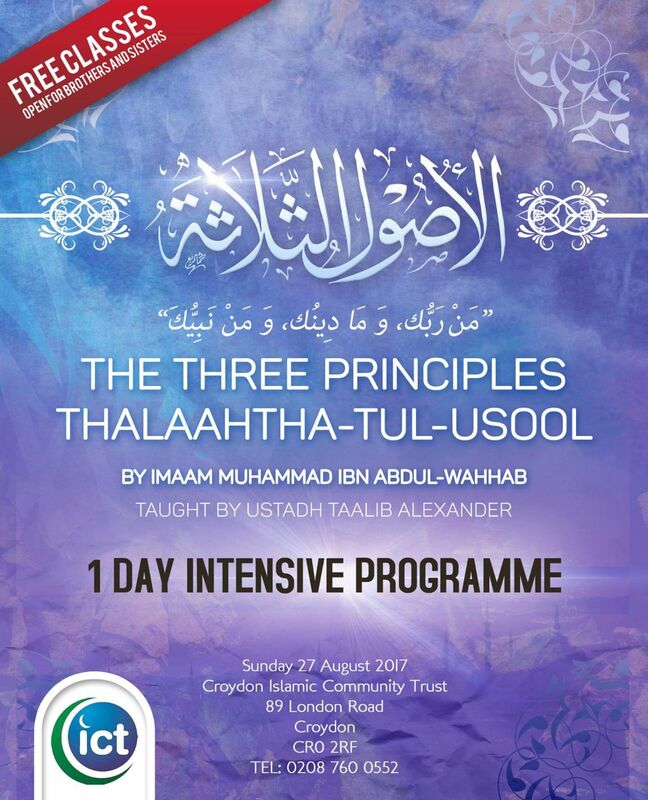 This entry was posted in News, Seminars and tagged Talib Alexander, thalaathatu-ul-usool, The Three Fundamental Principles, three fundamental principles, usool ath thalaatha by Admin. Bookmark the permalink.